Driving down the road no 17 from Pleszew to Kalisz you drive through Gołuchów. There on the right curve of the main road you need to turn left to the Museum of the Forestry. Driving straight in a moment you arrive at the museum, which stands next to the gate to the park. Walking down the paths straight on, you reach the castle. 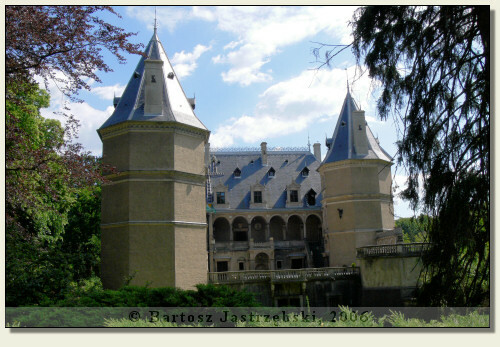 Gołuchów originally belonged to the family of Toporczyk, from whom in 1408 Ivan from Karnin, the ancestor of the family Wieniawit Leszczyński, repurchased it. The date of building the castle was not still entirely straightened out. Some researchers claim that it came into being in 1560 on Rafał IV Leszczyński’s initiative, however there exist mentions about the existence of the fortalice in Gołuchów already in 1444. It is known, however, that in the years of 1600-1628 the great royal chancellor Wacław Leszczyński converted the ancestral seat. In the XVIIIth and in the first half of the XIXth cent. 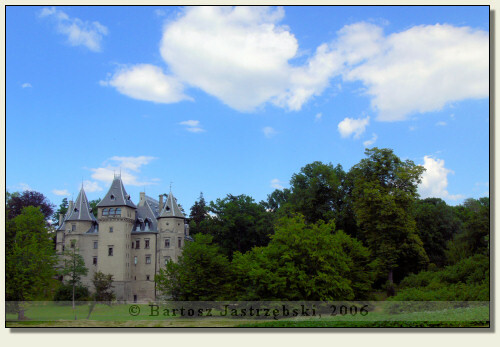 the castle was often changing hands, till 1853 when Jan Działyński bought it and in 1871 passed it to her own wife - Isabel from the family Czartoryski Działyński. 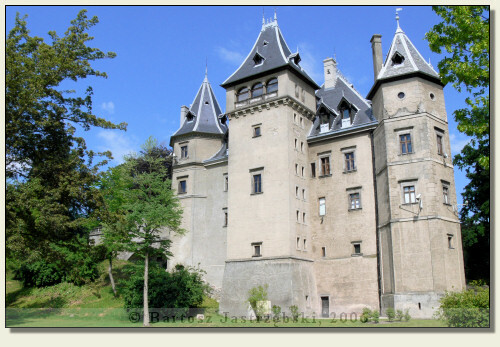 By her order the stronghold was thoroughly rebuilt in the years of 1872-1885 and then obtained the present appearance. 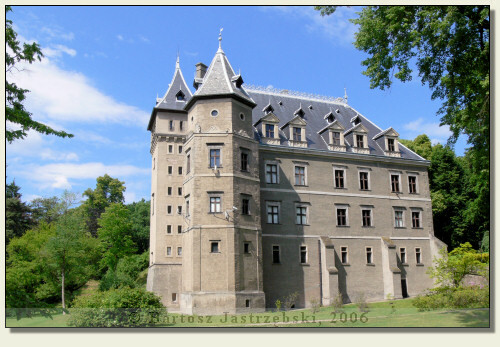 After death of Isabel the estate of Gołuchów were passed to Witold Czartoryski’s hands and this family was their owner until World War II, during which the occupiers plundered the castle. In 1951 the monument was taken over by the Museum of Greater Poland in Poznań and in 1962 the first exposure was opened there. In the years of 1970-1976 the general renovation of the castle was carried out.